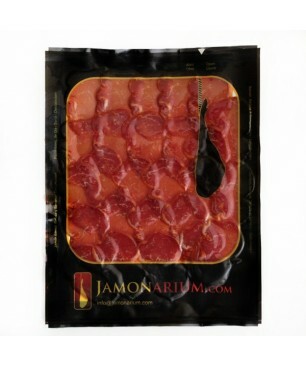 The Chorizo Iberico Bellota sliced is made with a carefully selected mixture of pork meat from iberian pata negra bellota pigs. The mixture is seasoned with salt and red natural pepper to bestuffed into a natural pork gut and put it to dry slowly. 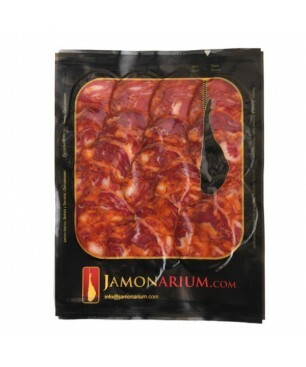 It comes in a 100gr sachet vacuum packed so that you get its full intact aroma and enjoy it at home. 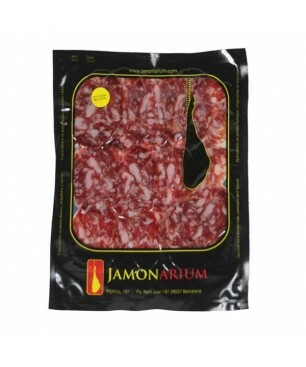 The Salchichon Iberico Bellota is a carefully selected mixture of pork meat from iberian pata negra bellota pigs. The mixture is seasoned to bestuffed into a natural pork gut and put it to dry slowly. 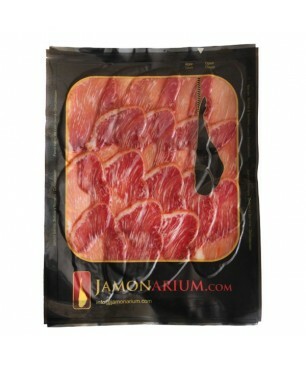 It comes in a 100gr sachet vacuum packed so that you get its full intact aroma and enjoy it at home.